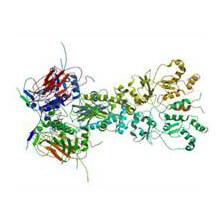 The Heat Shock Protein 27 (Hsp27) is a 25-kDa protein also known as Heat Shock Protein Beta-1 (HspB1)1 that belongs to the family of small Hsps (Table 1), and is the human homologue of murine Hsp25. Throughout this website, Hsp27 and HspB1 will be used interchangeably. 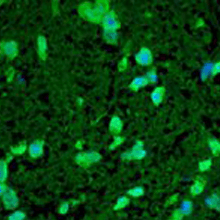 Hsp27 is ubiquitously expressed and has been implicated in various biological functions. In contrast to large Hsps, Hsp27 acts through ATP-independent mechanisms, and in vivo, functions with other chaperones by making a reservoir of misfolded proteins2. Activation of the heat shock-responsive element on the HSP27 gene results in biological functions associated with cytoprotection from a variety of stressful environmental (heat, UV irradiation, toxic substances etc. 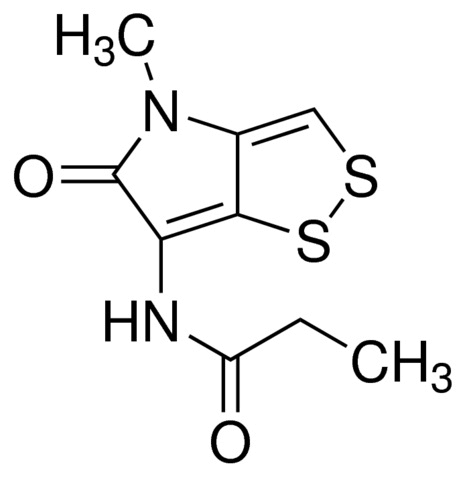 ), metabolic (hypoxia, hypoglycemia, etc.) and systemic stimuli (infections, inflammation, etc.)3. The upregulation of intracellular Hsp27 protects cells from tumor necrosis factor-alpha (TNF-α) mediated apoptosis by a mechanism that involves the down-regulation of reactive oxygen species4,5,6. 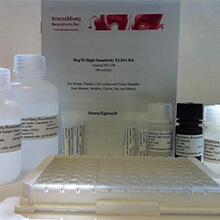 Moreover, Hsp27 has been shown to be associated with estrogen-responsive malignancies and is expressed at high levels in biopsies, and has been detected in the serum of breast cancer patients7. Thus Hsp27 (HspB1) is involved in many homeostatic cell function in many organisms as well that is has been identified as a potential therapeutic target for many diseases.